The US trade deficit grew in the month of August. President Donald Trump has made the reduction of the trade deficit one of the focuses of the trade war. The goods trade deficit with China, a key focus of Trump’s, also hit a record high by one measure. Exports of soybeans, an important crop and one of China’s targets in the trade war, nosedived in August. President Donald Trump is losing the trade war, at least according to his favourite measuring stick. 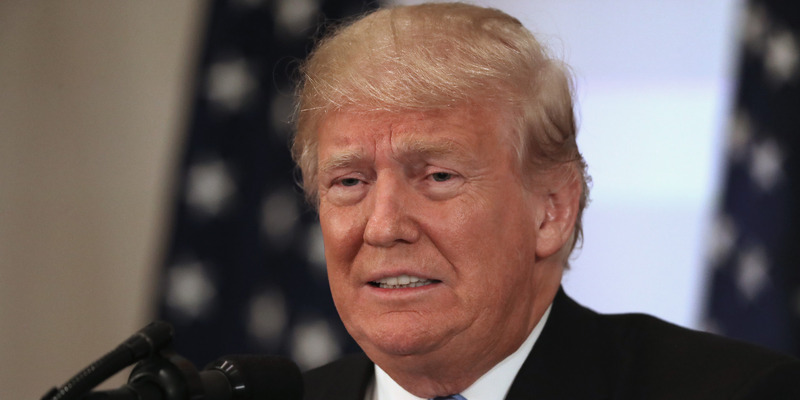 Trump has repeatedly cited the US’s ever-growing trade deficit with China, Mexico, and other nations as a primary reason for the trade war. And while many economists think the focus on trade deficits is misguided, Trump has made the reducing them one of the trade war’s main goals. Based on the latest trade numbers, the president’s battle with China and other countries is not going so well. The US Census Bureau reported Friday that the trade deficit increased to $US53.2 billion in August for both goods and services, up from $US50.0 billion in July. The goods trade deficit, which draws most of Trump’s attention, also increased to $US86.3 billion, a $US3.8 billion increase from the month before. The primary reason for the increase in the deficit was a collapse in exports, especially soybeans, which fell off by $US1 billion, a 28% drop from the month prior. China, the largest buyer of US soybeans, imposed tariffs on the American crop and it appears the restrictions are taking a toll. Turning to Trump’s main trade war target – China – the news doesn’t look much better for the president. The goods deficit with China jumped to an all-time one-month record of $US38.6 billion from $US36.8 billion in July without seasonal adjustments. Year-to-date, the goods deficit with China is $US261 billion, 8.3% higher than the $US240 billion through August of 2017. 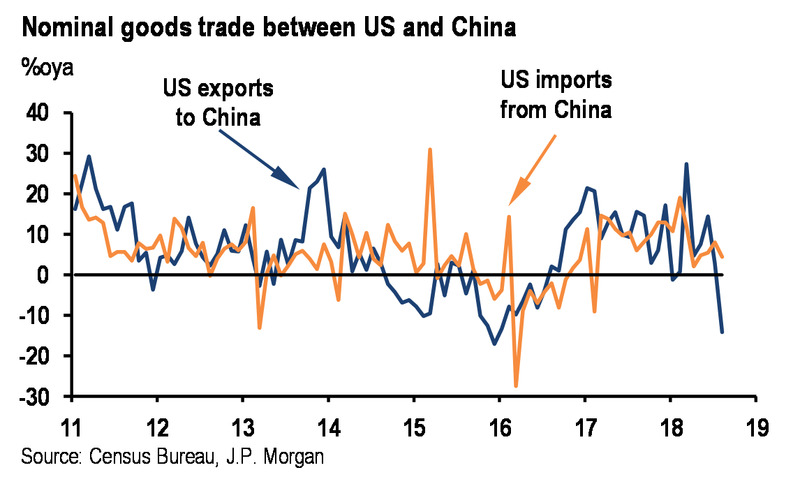 Similarly to the overall deficit, the imbalance with China worsened due to a drop in exports to the country according to Dan Silver, an economist at JPMorgan. 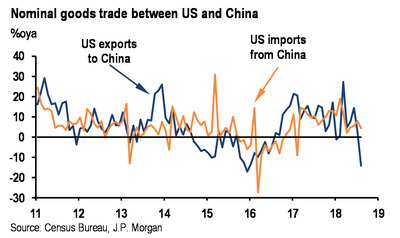 “Details in the August report show that nominal goods exports to China dropped significantly during the month following the implementation of tariffs by both the US and China early in July,” Silver said. But China wasn’t the only country to see its trade surplus with the US grow. The US goods-trade deficit with Mexico ticked up to $US8.7 billion, a $US2.3 billion increase from July, and the deficit with Japan increased to $US5.8 billion, up $US0.9 billion from last month. Gregory Daco, the chief US economist at Oxford Economics, wrote in a note to clients that the trade deficit will likely continue to grow given recent trends.